Use up to three slicing modes to repurpose your iTunes music library and your own custom sample collection for remixes and sample chopped beats. 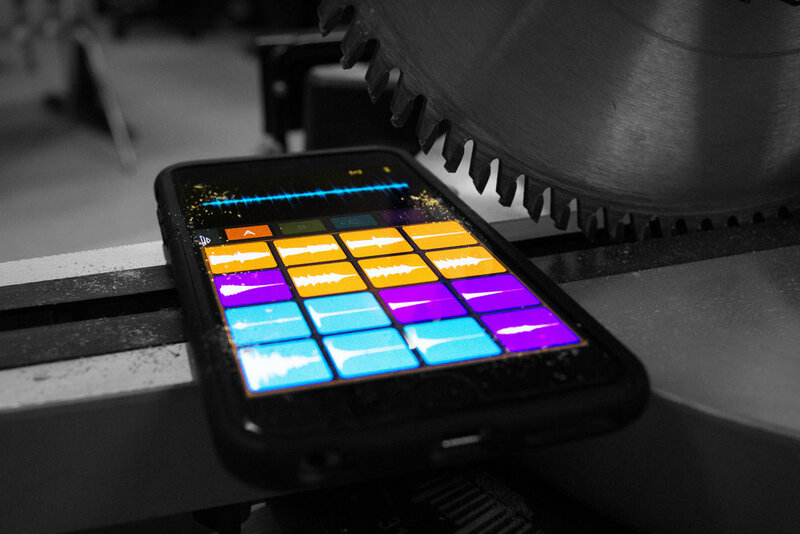 Combine your chops with Slicr Sounds and you’re ready to slice beats like Kanye! Region Slice Mode allows you to chop a sample into equally sized slices. Auto Slice Mode allows you to detect and intelligently position slice points within a sample. Manual Mode allows you to swipe to place slice markers directly on the waveform. Utilize your iTunes Library of songs for remixing! Import songs from your iTunes Library, Slicr sound packs, and your own personal ".wav" sample collection to the “CRATE” to collect, edit and create snippets of songs for reuse in sample based beats, remixes and mashups. Select up to 600 included sound samples for Slicing samples using up to three slice modes. Applying and routing reverb, delay and distortion can be done to a single slice or to multiple slices. Add some smoothness and control with the one-shot/hold mode and choke groups. One common approach is to crop a sample to 1 bar, before cutting it with regions mode across 4 pads, and then add the 4 pads to the same choke group in one-shot mode. 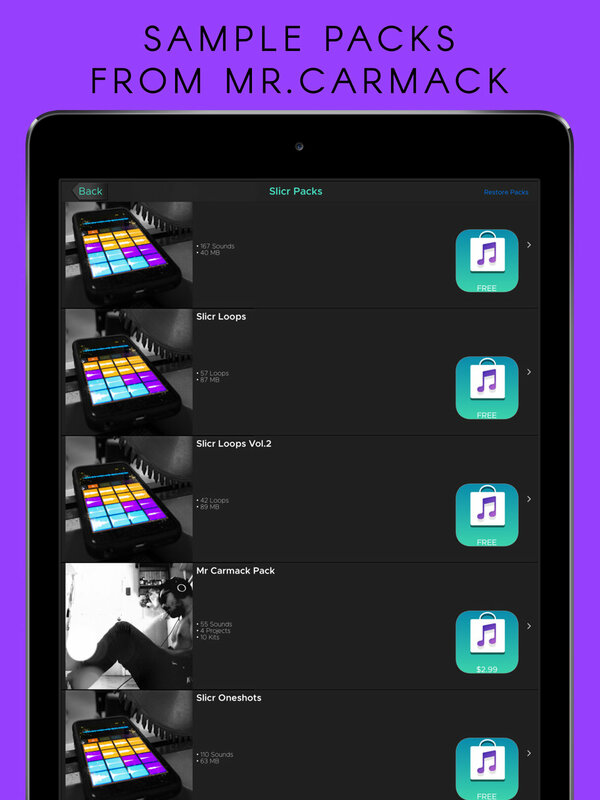 Slicr is the first app to put the waveform directly onto the pads, so you can easily see sounds in the kit. Through our experience teaching music technology, we design and develop music software and games for iPad and iPhone/iPod to help students learn in fun, fast paced environments like our educational rhythm game, Cookie Beats. Using modern music equipment and concepts, we make learning about music as fun as playing a game! We turn music listeners and lovers into music makers.